Wavegarden just announced the addition of their Cove technology to a massive 2.1B€ mixed-use development in South Korea. 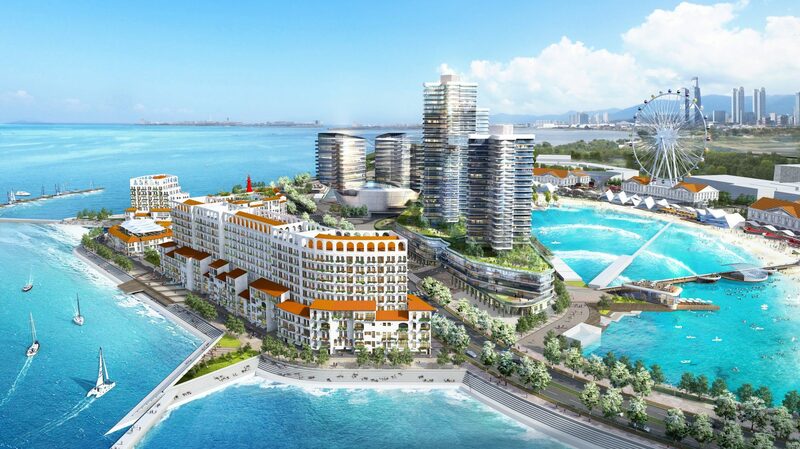 The highly developed resort will be on Turtle Island, Siheung which is in the Gyeonggi province of South Korea. It’s scheduled to open in 2020. The size and scope of a wave pool this large posed it’s own set of challenges. Wavegarden’s machinery can produce millions of waves per year and is designed to recover part of the energy used in the wave generation process to decrease overall energy consumption. Regarding the health issues inherent with so many people in one body of water, the construction will incorporate an unspecified innovative water treatment system. These things are still closely held trade secrets. Wavegarden states they developed something specifically for wave lagoons that will keep the water transparent and clean throughout the year. Daewon Plus Construction, one of South Korea’s largest real estate and theme park developers, will build the project under the eye of Wavegarden. The formalization of this partnership comes after a year of intensive design and planning work between Wavegarden and South Korea. The site is being constructed on land reclaimed from the ocean on a new man-made terrain called Turtle Island. Nearly one kilometre of beach will front the new wave pool. 10.8 million tourists visit this part of South Korea annually. The mega-complex is located one hour away from downtown Seoul. 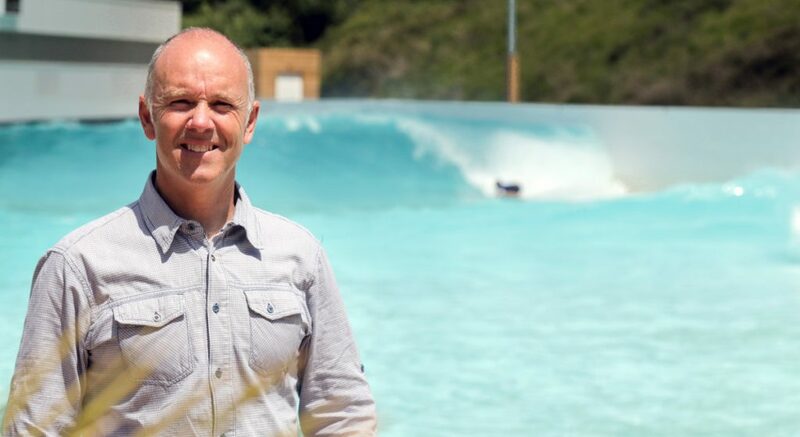 Josema Odriozola, Wavegarden’s Founder and CEO. While not a hotbed of natural breaks, it’s safe to speculate that this giant Cove will feature heavily for the learner crowd. Which brings up a point in this juncture of wave pool growth, will the coming boom in pools (Wavegarden has 28 plans drawn) be catered to the resort set, or the surf set? Either way the Cove tech, and Surf Lakes’ 5Waves, are well-suited to all levels of the surf-ability arc. Apart from riding waves, Turtle Island offers various other aquatic activities like kayaking, SUP and swimming in zones with and without waves.